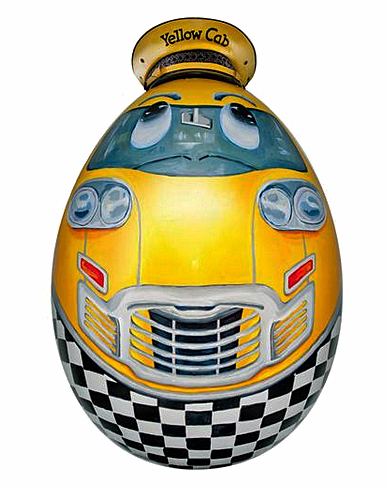 Sunny the Original Taxi Cab Egg. 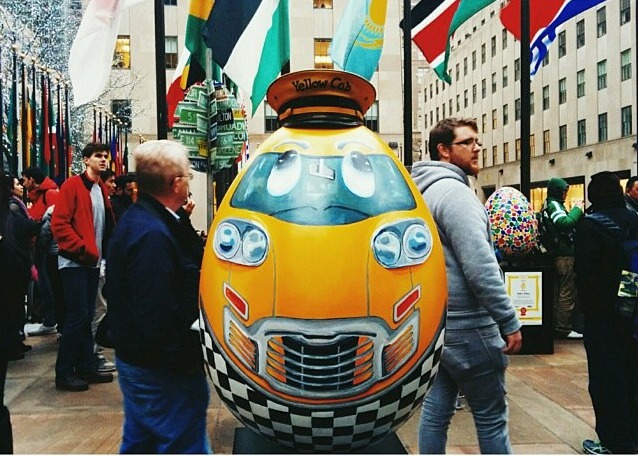 Goal: To conceptualize and execute an original public art piece that celebrates New York City. 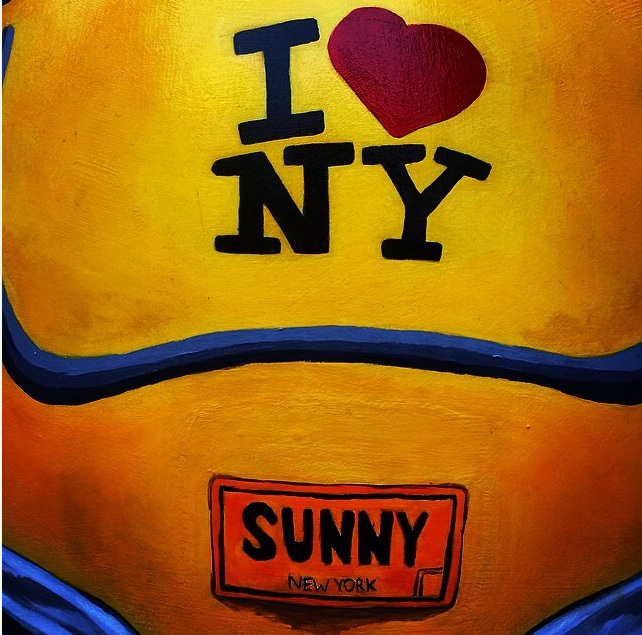 It was produced for Elephant Family foundation and The Studio in a School foundation. 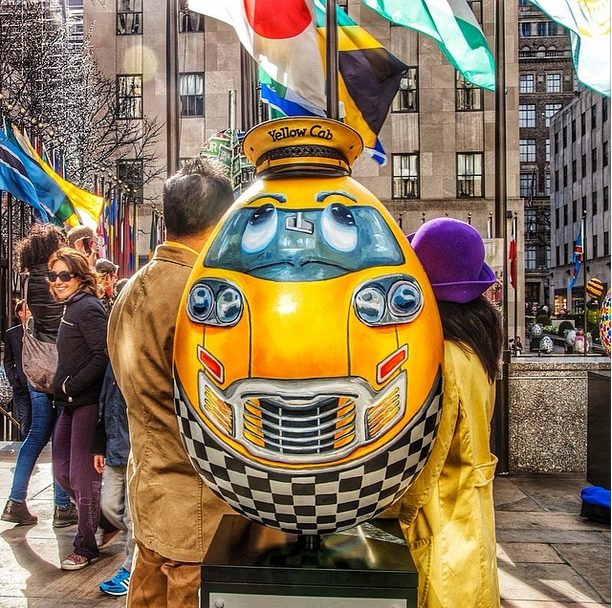 Result : Sunny displayed in different locations throughout New York City, stationed first at NYC Information Center in Times Square, then at Rockefeller Center and lastly auctioned off at Sotheby's, where Sunny was sold as one of the top 20% highest bids in the auction.The vintage hat, Sunny proudly wears, is an original cap from the early days of the Yellow Cab Company. 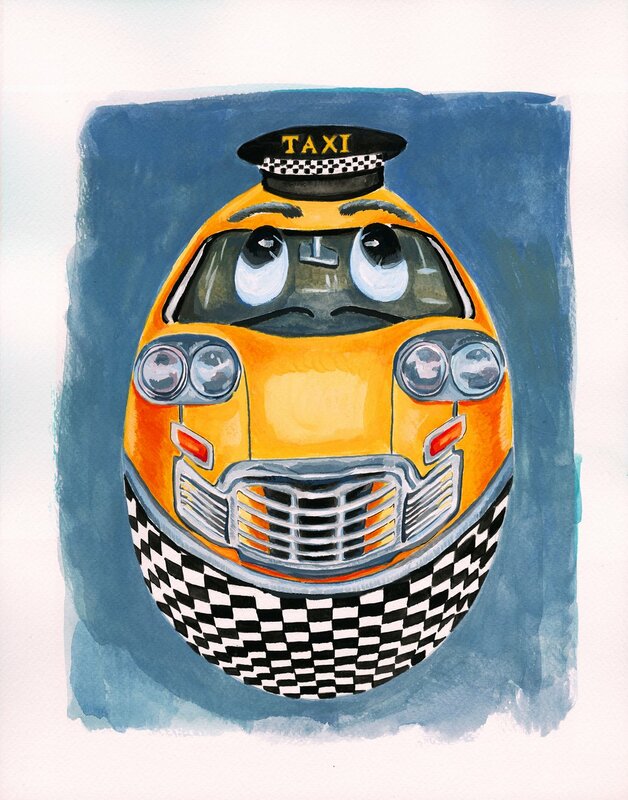 Sunny now resides in San Diego with the grandchildren of the original owners of the Yellow Cab company. 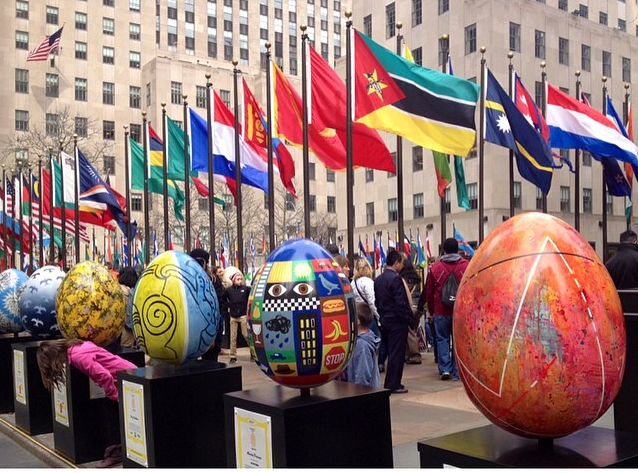 The Faberge Egg Hunt's Eggs assembled and displayed at Rockefeller Center before heading to Sotheby's for auction. 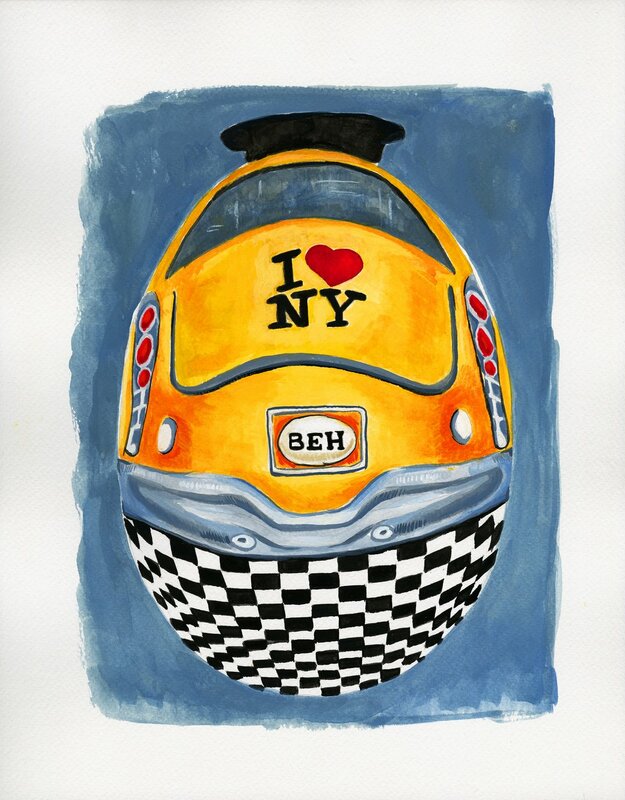 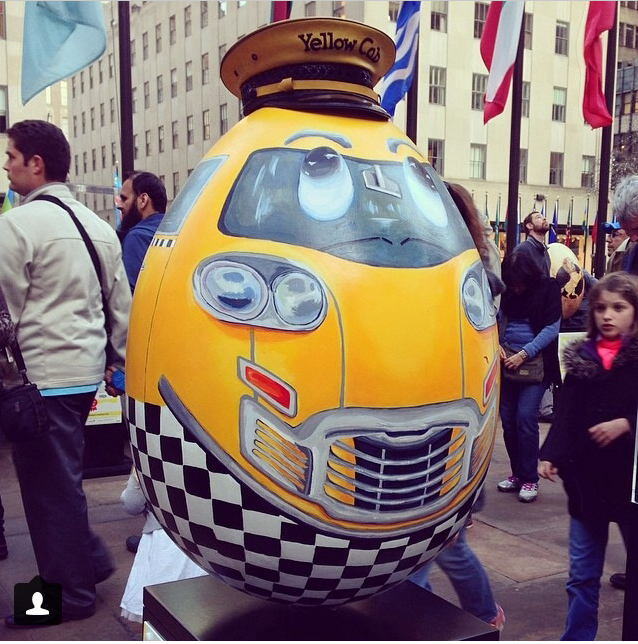 “Sunny, The Original New York Taxi Egg” comes to Manhattan in all of his Glory. 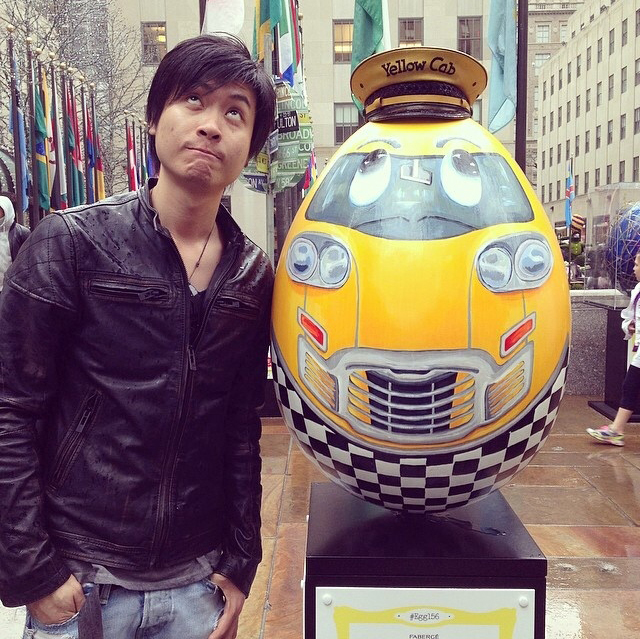 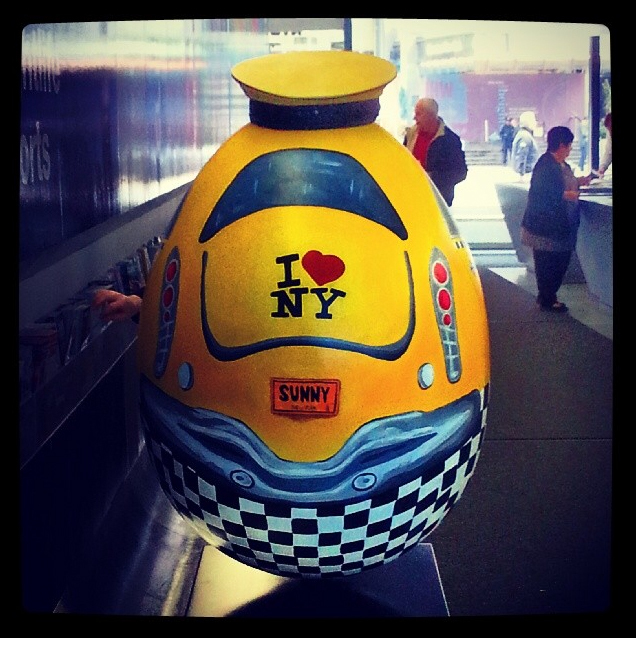 Sunny the Original New York Taxi Cab Egg being posted and shared on instagram and facebook.